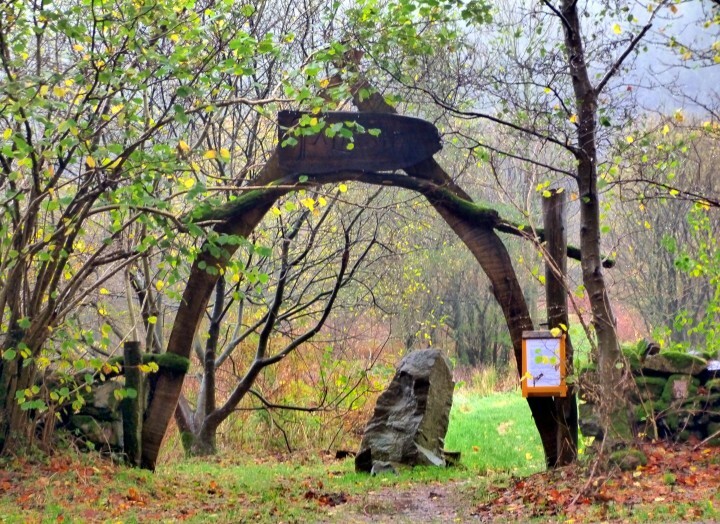 Taliesin is beside a minor road of Iron Age or Roman origin which runs from the Western end of Castle Douglas, past the entrance to Threave Gardens and Southwards, crossing the B727 at Gelston and down to the A711 between Palnackie and Auchencairn. 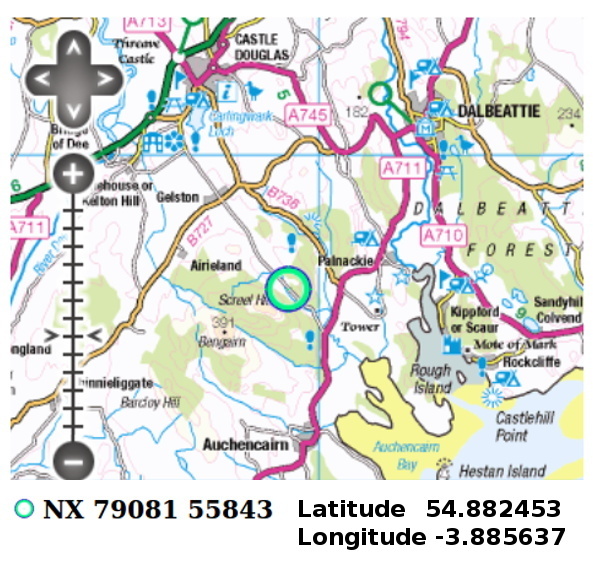 The OS grid reference and latitude/longitude are shown on the map below. There is no postcode, but the nearest properties are all DG7 1SP., which will bring your satnav onto the right road. Taliesin is on the right (West) shortly after leaving farmland and entering the woods, going downhill. There is limited parking space opposite on the left (East). Additional parking can be found a few hundred meters further down near Potterland Bridge.